With Dutch cocoa, dark chocolate, and cocoa butter, these vegan brownies are fudgy and flavorful, with beautifully glossy tops. With aromatic cocoa butter for richness and flavor, plus a toasty, nutty hint of malt powder to help with browning in a nondairy formula, these vegan chocolate brownies taste as good as they look. Soy milk powder keeps the batter emulsified, so these brownies still bake up with a beautifully glossy top. Even better, the powderized ingredients can be stored on a pantry shelf for months on end, a make-ahead option with all the convenience of a boxed mix. The small, fine crystals in powdered sugar dissolve readily in a low-moisture environment, creating a more glossy crust. A combination of dark chocolate, Dutch cocoa, and cocoa butter gives the brownies intensity and depth. Soy milk powder keeps the batter well emulsified, for thick and glossy brownies. Cocoa butter is solid at room temperature, with an extraordinary shelf life that makes it the perfect foundation for a pantry-stable mix. Dry malt extract provides flavor and complexity in place of butter. For the Mix: Combine powdered sugar, dark chocolate, all-purpose flour, Dutch cocoa powder, cocoa butter, soy milk powder, dry malt extract, salt, espresso powder, and baking powder in the bowl of a food processor. Grind until the chocolate disappears into a fine, powdery mix, and you can no longer hear any chunks bouncing around the bowl, about 2 minutes. The timing will vary significantly depending on the size, power, and capacity of the food processor. Scrape the bowl of the processor to be sure no chunks of chocolate have lodged under the blade and continue processing until fine. It is important that this mix is as powdery and fine as flour, with absolutely no visible chunks of chocolate or cocoa butter. For immediate use, proceed directly to Step 3. Otherwise, transfer the mix to an airtight container and store at cool room temperature up to one year, or until the date stamped on the package of Dutch cocoa. Adjust oven rack to lower-middle position, preheat to 350°F (180°C), and line an 8-inch-square anodized aluminum brownie pan with a long strip of parchment or foil to cover the bottom and two of the sides. When the oven has come to temperature, prepare the batter in the bowl of a food processor or in a large mixing bowl with a flexible spatula. Either way, add the boiling water and vanilla extract; pulse or stir until well combined. The batter will be smooth and thin when made in a food processor and somewhat thicker when mixed by hand. These textural differences with not affect the batter's behavior. To Bake: Scrape the batter into the prepared pan, spread into an even layer, and bake until the brownies are glossy, puffed, and firm but a little squishy, about 35 minutes. 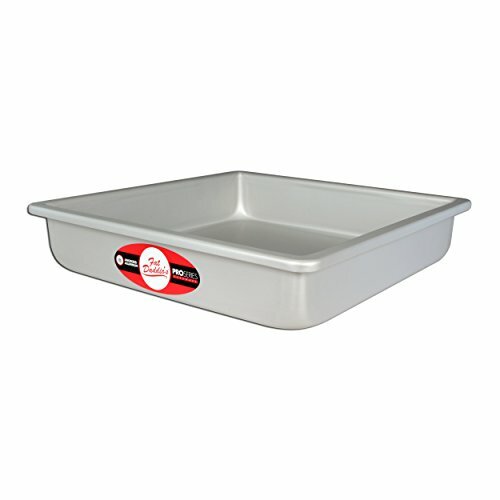 The timing is based on the volume and conductivity of an 8-inch anodized aluminum pan; be aware the time needed will vary significantly with glass, ceramic, or nonstick pans. Allow the brownies to cool at least 15 minutes before slicing. To serve, gently tug on the foil or parchment and lift to remove the brownies from the pan. Cut into 16 2-inch squares. Store leftovers in an airtight container with a sheet of wax paper between each layer, about 1 week at room temperature. This recipe can be doubled and baked for the same length of time in a parchment- or foil-lined 9- by 13-inch anodized aluminum baking pan. The larger quantity of mix is best stored in a gallon-sized ziptop bag. The brownie mix can be stored in an airtight container at cool room temperature up to 1 year or until the date stamped on the package of Dutch cocoa.